For one thing, people don’t trust ads. It doesn’t really matter what type of advertising. Whether it is television, radio, social media, billboards, or search – consumers think you are at best exaggerating. And they’re kind of sick of all the hullabaloo. 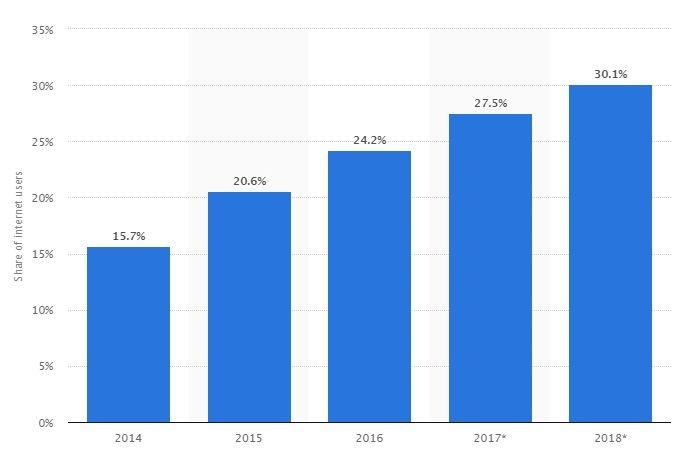 Which is one of the many reasons we have seen a growing proliferation of ad blockers – with use hitting around thirty percent (30%) in the US in 2018, according to Statista. And, while publishers have worked around this issue on desktop by requiring visitors to disable their ad blockers to view content, mobile blockers are still sneaking by. Content, on the other hand, has seen growing consumption. A recent 2018 Nielson Total Audience Report showed adults spend over 11 hours per day interacting with media. While they might be eschewing advertising, consumers are actively seeking out articles, videos, podcasts, books, and comics to read, view, and share. Here are three content marketing pitfalls and how to avoid them. Not using the right data. Despite the popularized practices of creating audience personas and developing target audiences, many marketers still ascribe to a mostly spray-and-pray style. To be fair, first attempts into the realm of content almost HAVE to be generally broad strokes in order to start pulling visibility data. But creating with broad strokes does not mean unguided. Financial institutions should mine their own accountholder data to determine demographics and general interests on the macro level. Then use services like BuzzSumo to help determine potential performance benchmarks and outreach. Once content is in place, use your CMS and/or Google Analytics to determine keywords and content that are operating well. Then expand and improve on those efforts. Planning too far in advance. You’ve heard all about content calendars and, in order to stay on track, have planned out to six months or beyond. If you stick strictly to your schedule, it leaves you little room for changes based on incoming stats for more successful content. Nor will you be agile enough to plug in press releases or respond quickly to new developments in financial services. It doesn’t hurt to have a plan in place. But make sure you have enough wiggle room to keep up with your fast-paced audience. You are undervaluing “evergreen” content. Not all pieces of content are created equal. White papers, videos, and even blogs once released can often take on a life of their own. Something that has been out for weeks or even months can pick up pace and potentially surpass more “successful” flash-in-the-pan content. In a world where trust is at an all-time low and media consumption continues to grow, content isn’t KING, it is a marketing essential. And financial institutions have a wealth of information to share – and an audience ready and willing to listen. So get out there and post!